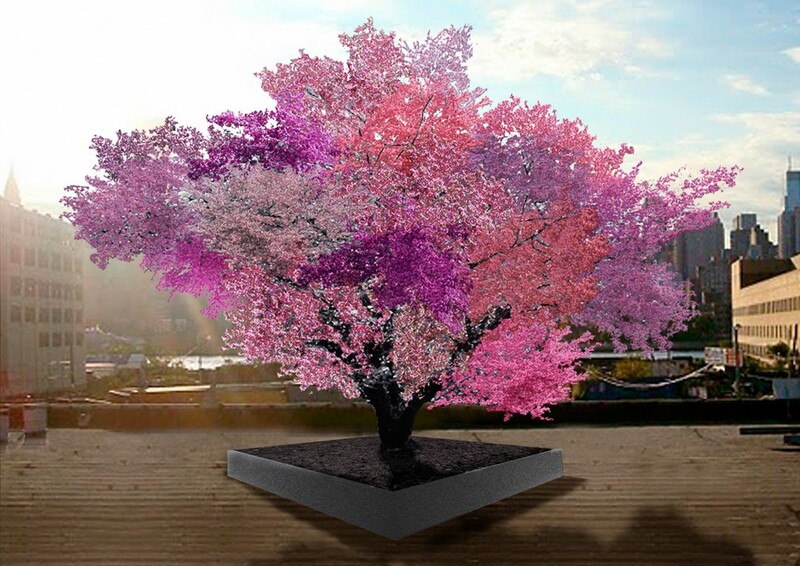 Share the post "Unique Tree Of 40 Different Fruits"
Sam Van Aken began to work on his project to create a multi-colored blossom tree in 2008. It was started as an art project, but soon became a mission to bring the fruits that have disappeared. While locating specimens for his art project, the artist had the opportunity to acquire a 3-acre orchard from the New York State Agricultural Experiment Station, where he began to graft buds onto a single stock tree from the 250 heritage varieties found in the orchard. The professor selected stone fruits (fruits with pits) for this project: plums, peaches, apricots, apples, nectarines, almonds, cherries and many others. Because of their similarities, all fruits bud, bloom and fruit in near perfect unison. For several years Sam Van Aken successfully grafted over ten plants onto the same tree, and with that, the “Tree of 40 Fruit” project was born. Now, about 16 of such trees are growing up in various areas of the U.S., like Newton, Massachusetts; Pound Ridge, New York; Short Hills, New Jersey; Bentonville, Arkansas; and San Jose, California. Every tree is specific to its environment, using both local and antique varieties. In spring, the “Tree of 40 Fruit” evolves out as an outstanding example of a combination of art and nature. Pink, white, crimson and purple flowers blossom on it, and the branches yield their own different fruits. If you are planning to order this tree, keep in mind that it costs about $30,000 each. National Geographic interviewed Sam Van Aken about how he makes each tree. You can watch the video here.